Domo, the cloud-based operating system for business, announced a suite of powerful new apps built on the Domo platform to improve marketing efficiency and impact, and help marketers drive more value from their digital transformation initiatives. Available today, the new Domo Marketing Suite includes two newly released apps – Digital 360 and Campaigns – that leverage the power of the Domo platform in delivering new levels of insight to chief marketing officers (CMOs) and marketing leaders to improve performance. Prebuilt KPIs: Domo provides pre-built KPI measurements, such as Engagement, Return on Ad Spend and Performance that are powerful, yet easy to use. 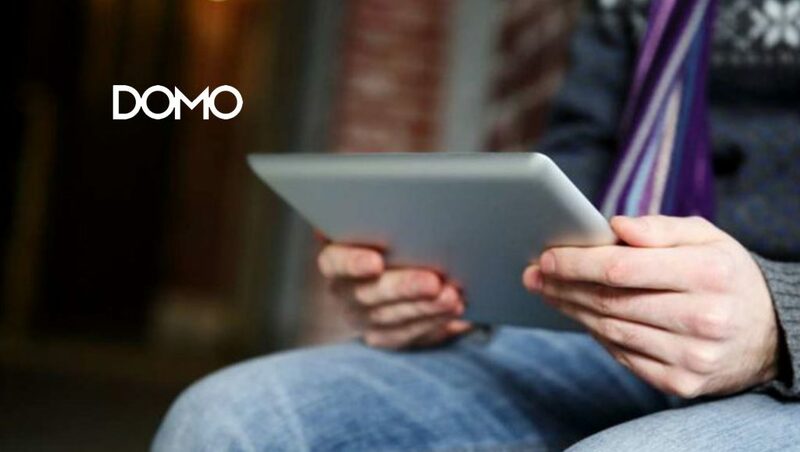 The Domo Digital 360 app also delivers a CMO perspective, which provides a curated view at-a-glance of performance relative to top-level goals. Built into the app is the ability to store documents and other campaign-specific collateral for easy retrieval, as well as display this relative to each associated campaign. Control Center: The Control Center is a component of the app where data from every campaign and initiative is uploaded, tagged and joined so that marketers can see every effort in context. Calendaring: The calendaring function in the Domo Digital 360 solution provides the ability to see your entire organization’s efforts in a collective view. Its filtering capability allows marketers to focus on the upcoming quarter or specific campaigns to fully understand where they should allocate their time and resources. Include dynamic Domo content such as cards and summary numbers. This real-time customization is designed to drive higher email open rates, higher click-through rates and ultimately, higher conversion rates from marketing campaigns. Some real-life use-case examples of the Domo Campaigns solution include sending customers an offer based on click behavior on their site; sending customers an offer based on their purchase patterns; automatically sending an invoice via email to a customer based on their billing due date; or notifying internal employees of an action that needs to be taken based on the actions of the customers they manage. Since Domo already integrates with CRM and analytics systems, Domo Campaigns requires fewer systems to measure customer performance and sends more meaningful customer communications. Additionally, for most types of email campaigns, this app makes other marketing automation tools optional.